Link-up your social profiles right from your website, in an easy and fun way! You can select icons from our 12 different beautifully designed sets, or upload our own icons set, customize them, define sizes, add several effects, add tooltip, set margins etc. Also you can define to appear the icons horizontally/vertically and no. of rows/columns! Choose from 105+ font awesome icons, color/style them as you need! High quality SVG icon sets, make your icons retina ready! 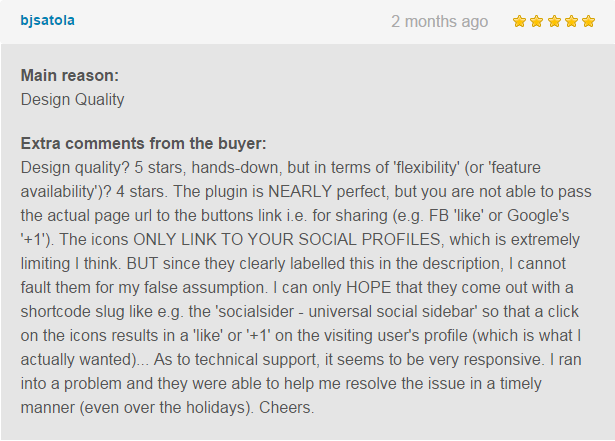 Configure and setup social sidebar with lots of options for your site. Define tooltips and style it with your own color, BG color. Make it interactive, define hover animation on icons. Real time live preview – check how it looks on your website before using it. Hey Buddy!, I found this information for you: "WordPress Social Icons Plugin – AccessPress Social Icons Pro". Here is the website link: https://access-keys.com/wordpress-plugins/accesspress-social-icons-pro/. Thank you.